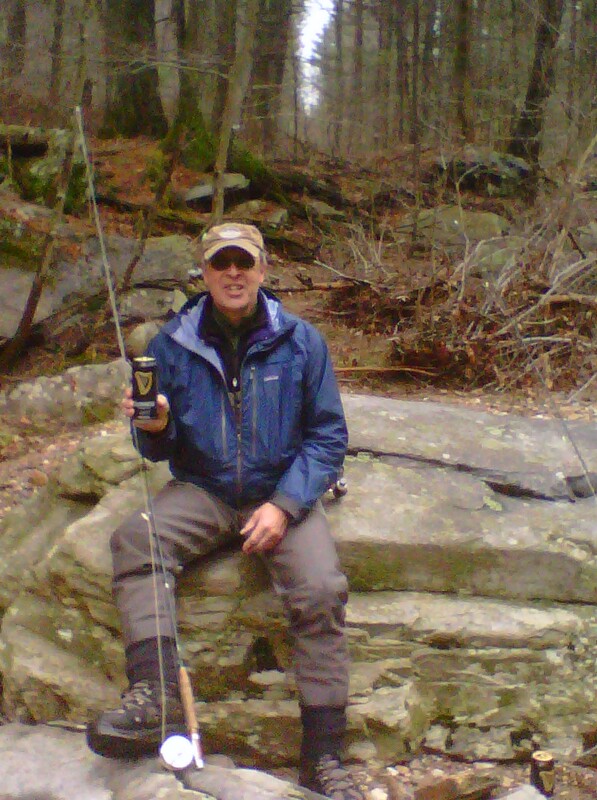 The art of fly fishing for trout never was, nor will it ever be, a simple affair. The true greatness of the happy sport is due to two features: the fascination of the problems presented and the glory of the environment in which the adherent operates. … The most beautiful places on earth, be they rural or rustic, are the edges where land and waters meet. Last weekend, I had the privilege of joining the Fly Fishers’ Club of Harrisburg, thanks to the invitation of a close friend, who was already a member. 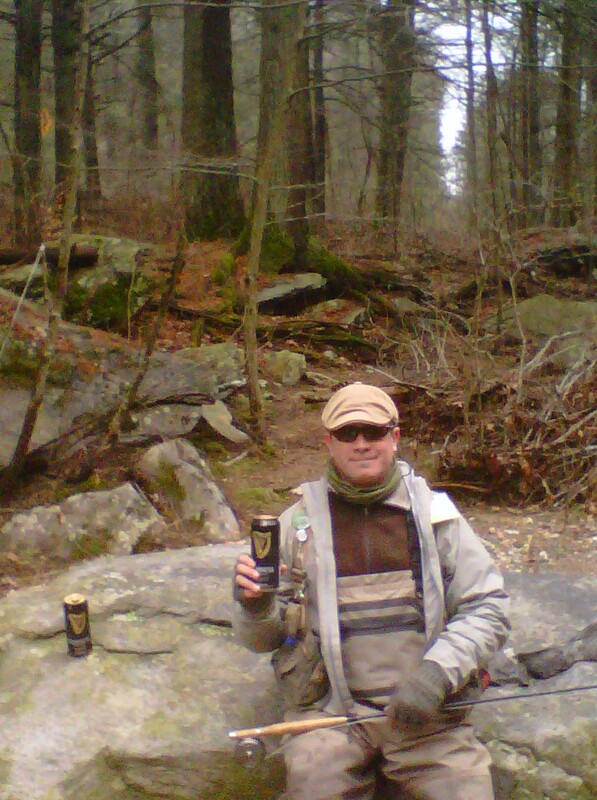 Until recently, I lived in South Central Pennsylvania, and there were long periods when I fished the Harrisburg area limestone streams and other local waters on a daily basis. Having long enjoyed and learned from the writings of those who help refine modern fly fishing methods on these streams, and having gotten to know some of the area old timers in that fishing community, joining this club at their annual dinner was a great thrill. I plan to attend as often as possible in the future, even though doing so will involve some travel. The Fly Fishers’ Club of Harrisburg is largely regarded at the second oldest fly fishing club in the United States, predated only by Anglers Club of New York. It was founded in 1947 by legendary anglers and fly fishing writers Charlie Fox and Vince Marinaro. Fox went on to write such books as the immensely entertaining This Wonderful World of Trout (1963), and Marinaro eventually wrote the highly influential The Modern Dry Fly Code (1950), among other titles. Initially, the Fly Fishers’ Club of Harrisburg held regular luncheons with invited speakers. In 1948, they began to hold an annual dinner. Today, the luncheons are no longer held, and the dinner is the primary social event for the club. Speakers at the dinner have included Edward Hewitt, Arnold Gingrich, Lee Wulff, Ernie Schwiebert, and many other famed fly fishers and authors. I grew up in Montana. Certainly, my home state is one of the first that comes to mind when one is thinking of fly fishing. But the history of the sport there is only becoming well-known now. Therefore, when I was younger, the fly fishing books I grabbed from the book shelf at our Montana cabin were generally not written by fellow Montanans. They were written by people like Arnold Gingrich, the founding editor of Esquire magazine, who praised Charlie Fox and other Pennsylvania fly fishers. Of course, these books made a great impression on me. Little did I guess that I would one day join the club founded by Fox. 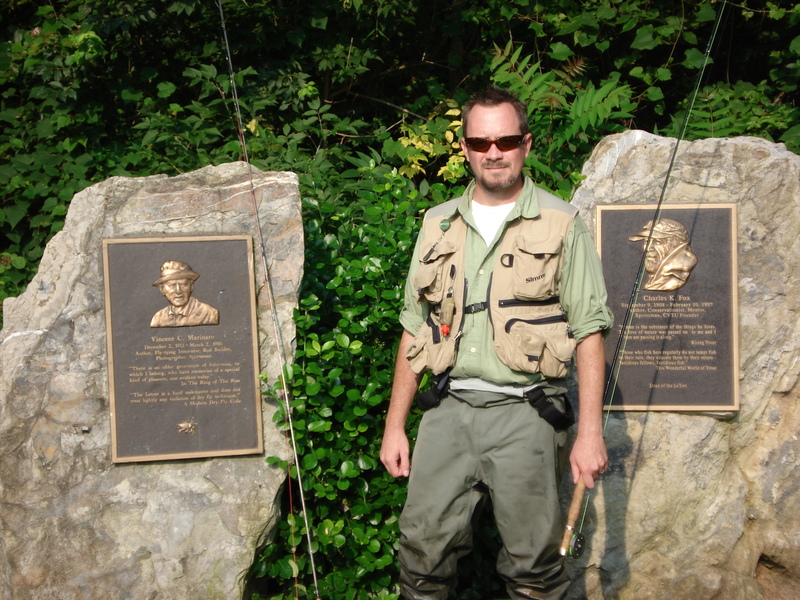 In Limestone Legends, Norm Shires notes that “It has been said that the Fly Fishers’ Club of Harrisburg is more tradition than organization.” As a person who is deeply fascinated with the traditions associated with fly fishing, this suits me just fine. I thank my friend John Bechtel for sponsoring my membership. Above left: Memorials to Charlie Fox and Vince Marinaro. Middle: Fishing a favorite South Central PA stream. Right: John Bechtel. Charles K. Fox, This Wonderful World of Trout, Revised Edition (Rockville: Freshet Press, 1971), 190. S.R. Slaymaker II, “The Fly Fishers’ Club of Harrisburg,” in Limestone Legends: The Papers and Recollections of the Fly Fishers’ Club of Harrisburg, 1947-1997 (Mechanicsburg: Stackpole Books, 1997), 4-5. Norm Shires, “A Postscript,” in Limestone Legends, 22. This entry was posted on April 15, 2011 at 11:11 PM and is filed under Fly Fishing, Fly Fishing Literature, Uncategorized. You can follow any responses to this entry through the RSS 2.0 feed. You can leave a response, or trackback from your own site. I had the privilege of attending the Boiling Springs luncheon yesterday as a guest of Dan Meckley. Unfortunately, we had to leave before the presentations, etc. I was very intrigued by the Reverend’s introduction as the inventor of “The Bootie Nymph.” I read a little about it in your archives which can be found on line. I wonder if I might be able to acquire a few of those nymphs (perhaps six). I suspect they cannot be found in the routine fly shop. Please let me know. Of course, I will send payment. The museum in Boiling Springs is really beautiful, isn’t it? I’m not actually familiar with the Bootie Nymph, but I’ll ask around a bit. I know a pretty accomplished flytier in the area who probably knows it. Thank you. If it helps, there is a Reverend who is a member of the Club. He gave the invocation at the recent luncheon/presentations event at the PlayHouse and is the fellow who invented the fly. Thanks, again, for looking into this. Just wondering if you had any success locating the “Bootie Nymph” fly. Warren, Sorry for not getting back to you. The people I asked hadn’t heard of it. I’m heading back up there shortly, though, and I’ll ask around some more. There surely must be some people in the Cumberland Valley TU who know it. My pleasure. I promise I’ll try again on the next trip. Can you please tell me the date, time and location of the annual luncheon? Or, have we missed it… I am contacting you for a long time member, Dan Meckley. I’m traveling at the moment, but I’ll get the date to you tomorrow night. I’ll be home then and can check my invitation. They created a website some years back to deal with such things, but it has never been updated. Feel free to check back with me, if I forget to give you the info. tomorrow. The banquet is on April 4, at the Comfort Suites Hotel in Carlisle. Registration starts at 4:30, and dinner is served at 6:30. Dinner reservations were due today, but I’m sure they can still work something out. Email me at kenov@theliteraryflyfisher, if you need contact information. I belive the museum’s open house in on the 5th. Thanks very much for your prompt reply. I will check with Dan Meckley asap. If he would like to attend and there is room, great. If we are too late, that’s OK.
You’re very welcome. I hope it works out. Wish I could be there myself this year, but there is just too much going on. I found a pin commemorating the 50th year of Fly Fishers Club of Harrisburg in Yellowstone National Park in July of 2015. If you can provide me a mail address for the club or individual who lost it, I will happily mail it to either. I suspect it is a treasured keepsake. Hi Joe, I have kept forgetting to respond. Forgive me. The club is not terribly organized, but I’ll try to find a useful contact for you. If nothing else, they could make an announcement at the meeting next spring. Thanks. I look forward to hearing from you regarding the lost pin.